Bring a little beach or pool atmosphere right into your room! Now you can have everyone’s favorite footwear as a decorative accessory. Imagine it in your favorite color combination. And, best of all, you take all of the credit since you created it yourself. We’ve made it easy by providing you with full sizePatterns, step-by-step instructions and lots of illustrations to guide you along the way. 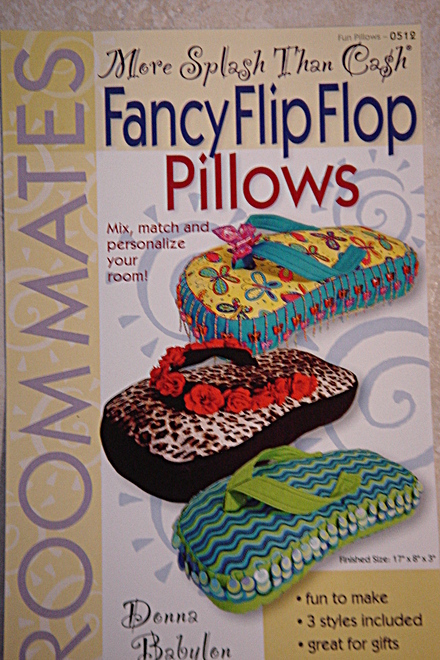 Preteens-Teens flip over this flip flop pillow- they love making them for their friends.